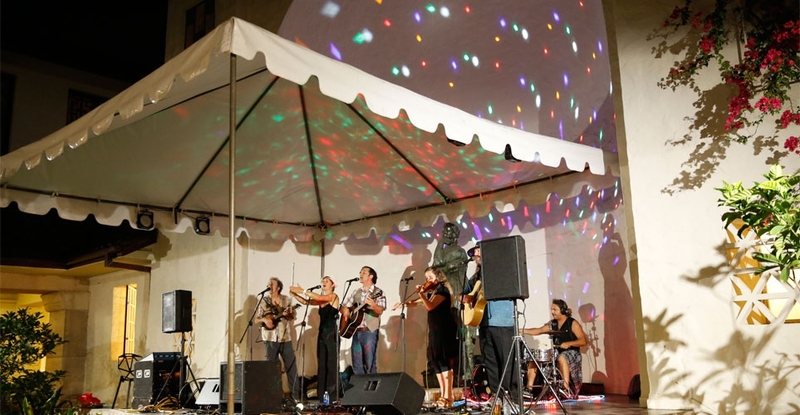 Home / Events / ARTafterDARK / Plastic Fantastic? Christina and Iri know what's up. 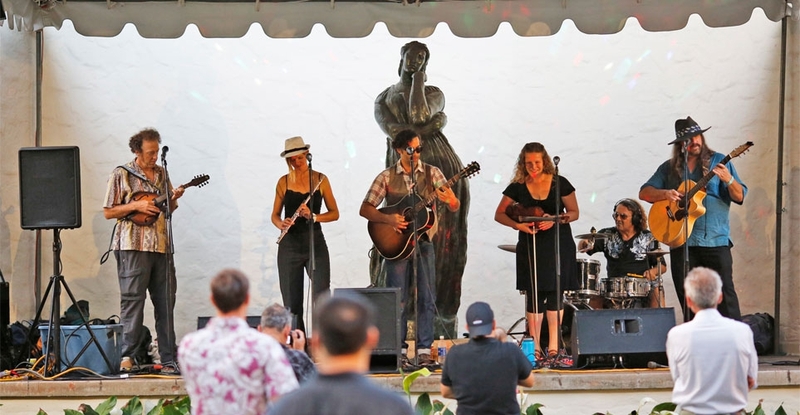 Butterside Down welcomed folks with bluegrass. Pig and the Lady back at it again with the ono fusion grinds. 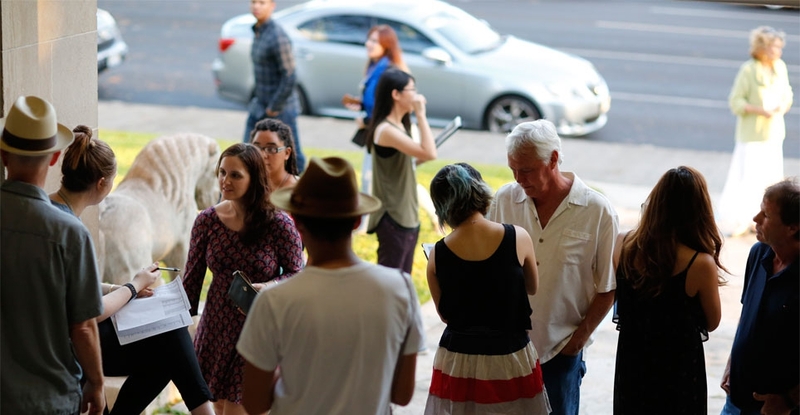 Guests made their way into the newly opened 'Art in a Time of Chaos' exhibition. 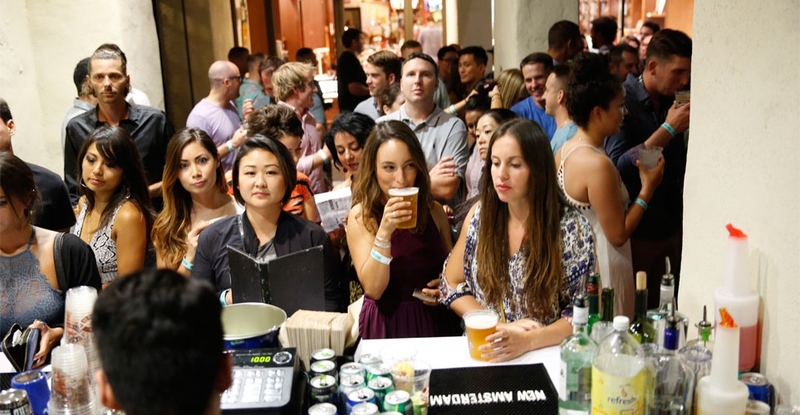 Free Spirits Mobile Bartenders and Kona Brewing Co. kept the fun well fueled. 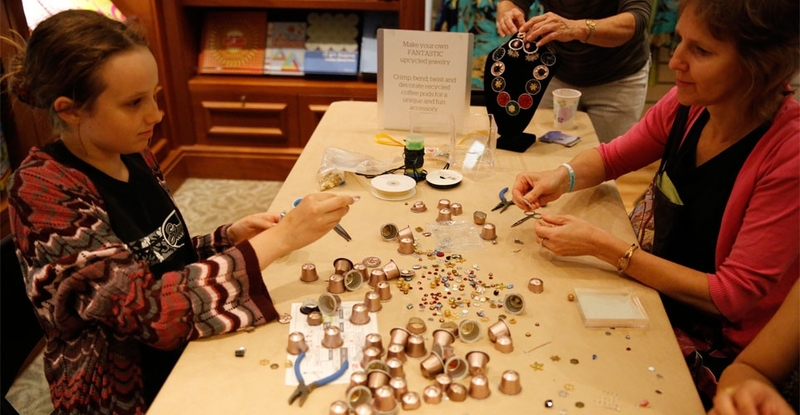 This month's ?art activity had guests turning Nespresso pods into jewelry. Thanks again Kona Brewing Company. 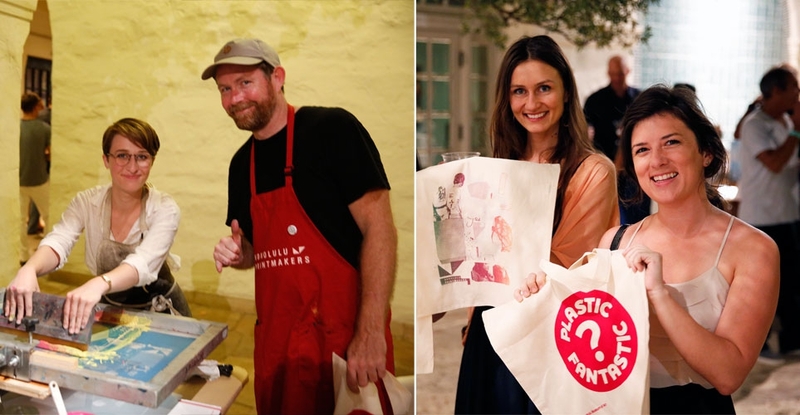 Honolulu Printmakers churned out totes awesome totes. DJ Meldoy Jay kept things pulsing in Luce Pavilion. Plastic Free Hawaii kept the designated drivers hydrated. Joining the movement! Guests got to take part in the One Ounce Project. Triple threat. Kainoa and Ciara made the pledge. Play us out Butterside Down! Saving the ocean one piece of plastic at a time. Presented by Kona Brewing Company. 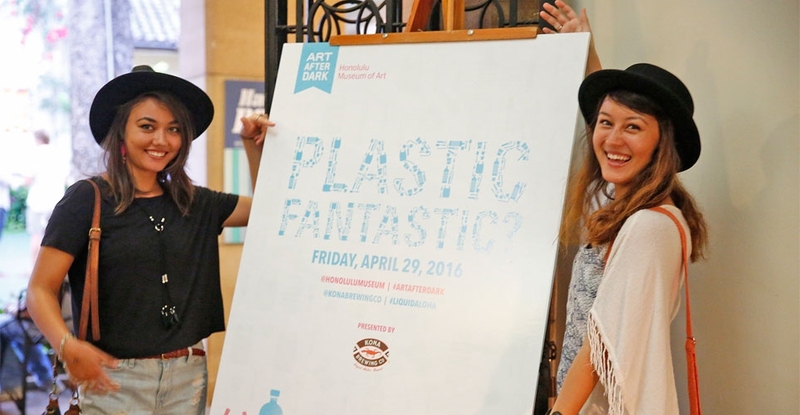 Before attending the event, please visit the Plastic Fantastic? exhibition located at our Spalding House location. The exhibition is open through July 10, 2016. In the Plastic Fantastic? exhibition at Spalding House there is a honey bear head. Find the honey bear and you could win a VIP experience at ARTafterDARK (which includes admission for four, a reserved table, and a bottle of wine). The hunt ends Monday, April 25, 2016. 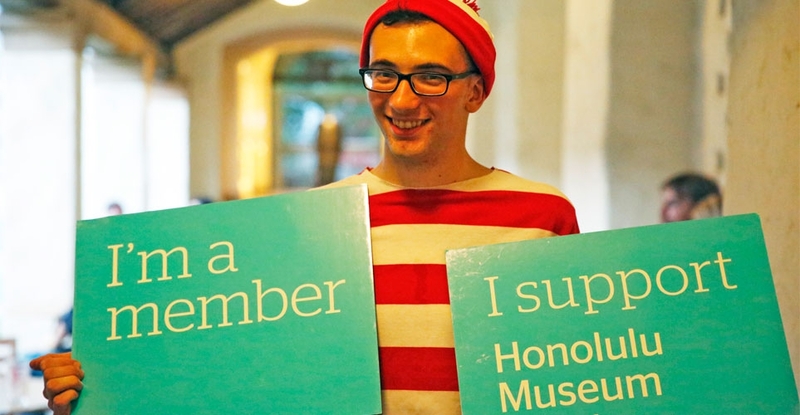 To enter, use Instagram and post a picture with the hashtag #PlasticFantasticHoMA and tag @honolulumuseum. 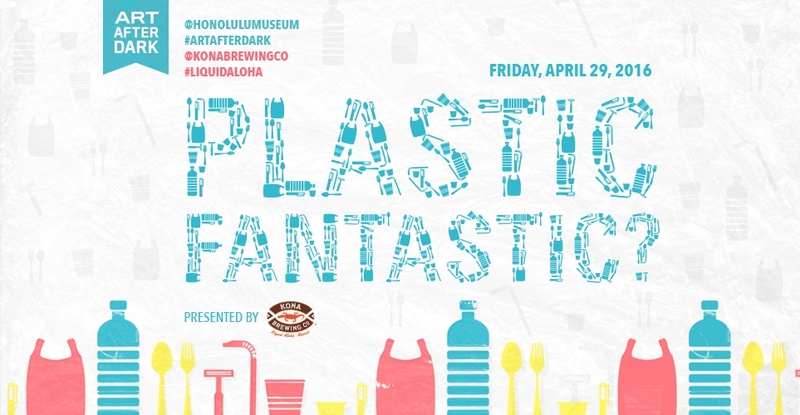 • The Honolulu Printmakers will screen print Plastic Fantastic? tote bags to give away. 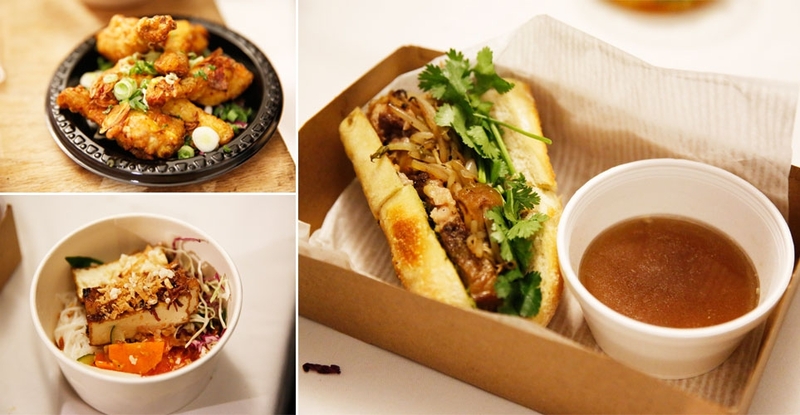 The first 150 guests can take one home! • Guests are invited to take part in the Plastic Fantastic? exhibition's One Ounce Project. One ounce represents the amount of disposable plastics an average American uses every three hours. 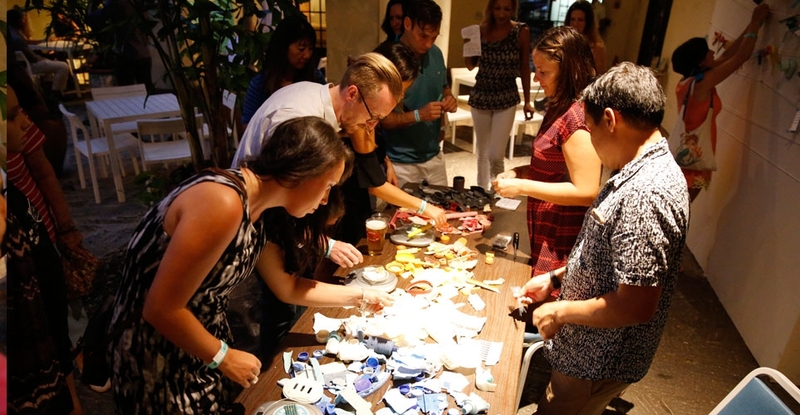 Guest can create their own art pieces by stringing together 1-ounce fragments of pre-drilled plastic debris collected during beach cleanups throughout Hawai‘i. • Upcycle Nespresso pods in to necklaces, pendants, bracelets, and other accessories. 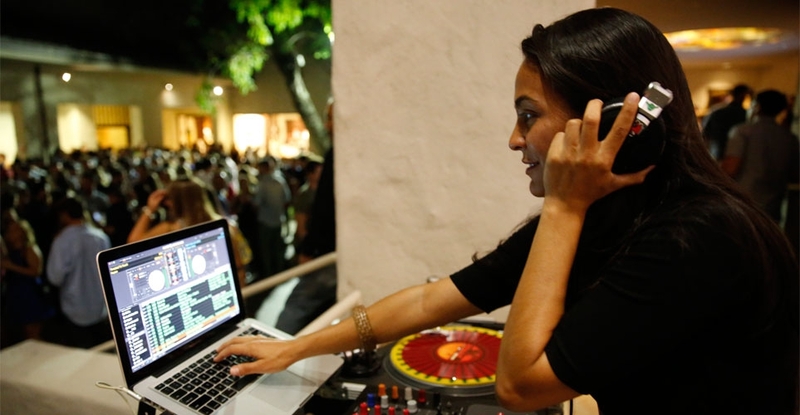 • Melody Jay will be spinning her island beats. 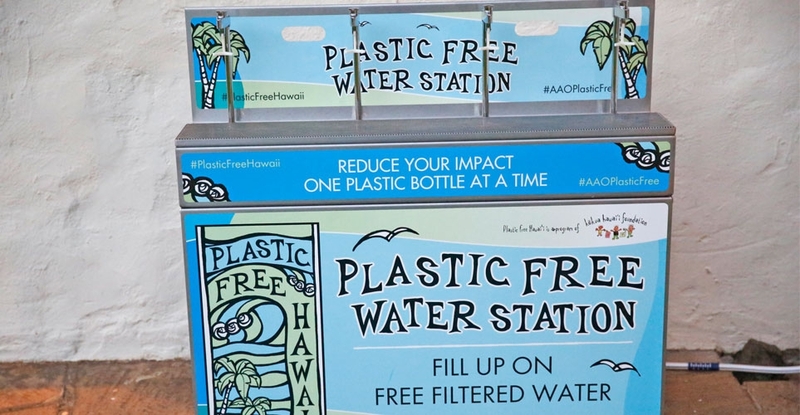 • Choose a commitment to reduce your plastic footprint with help from Kōkua Hawaiʻi Foundation. 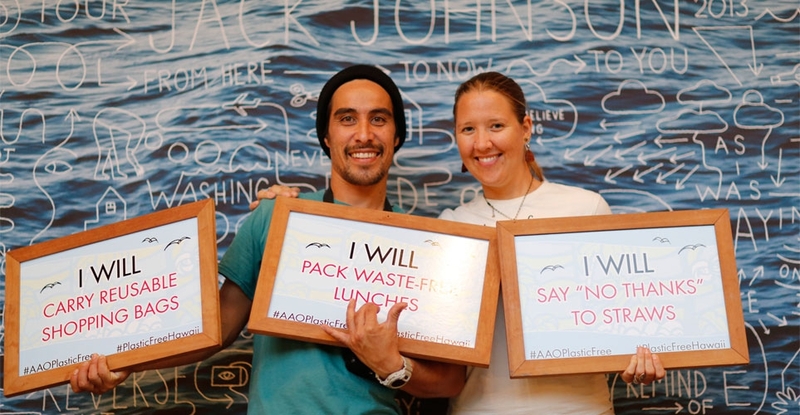 Take your own photo/video and share your pledge on Instagram or Twitter using #AAOPlasticFree. • Enjoy the bluegrass sounds of Butterside Down. • Food provided by StreetGrindz and The Pig and the Lady. Beverages provided by Free Spirits Mobile Bartenders. 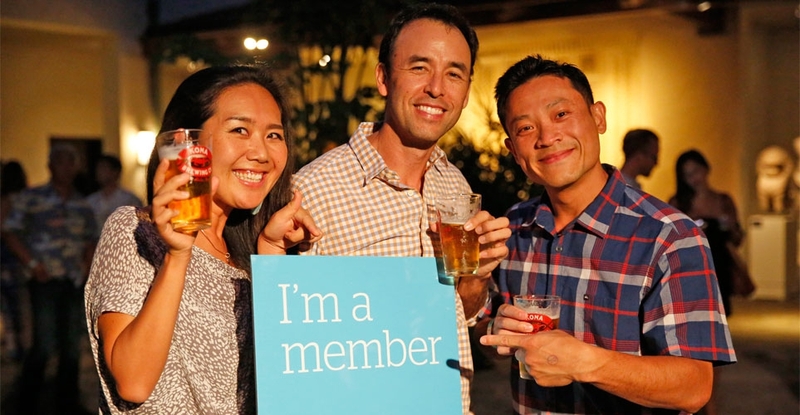 • Enjoy Kona Brewinng Company beers all night for $5 (a dollar off the usual event price!). The first 125 people will receive collectible Kona Brewing pint glasses. • Note: In an effort to reduce plastic waste, we will not be selling bottled water this month. 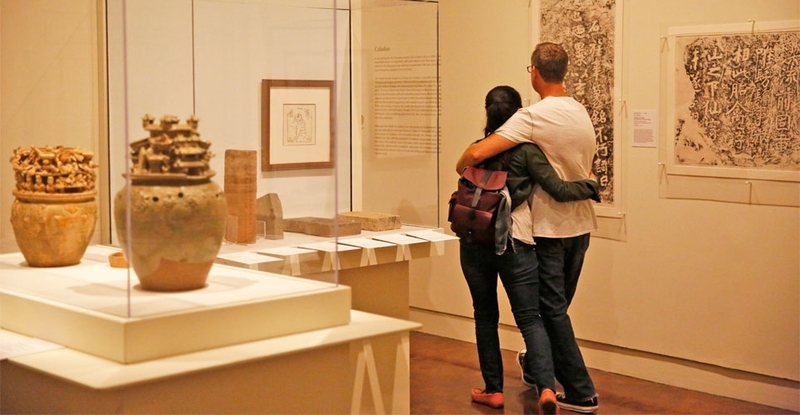 Instead, guests may purchase resuable cups that can be filled at fountains around the museum.